The Soldiers' Chorus of The United States Army Field Band performs the national anthem of the United States, "The Star-Spangled Banner." 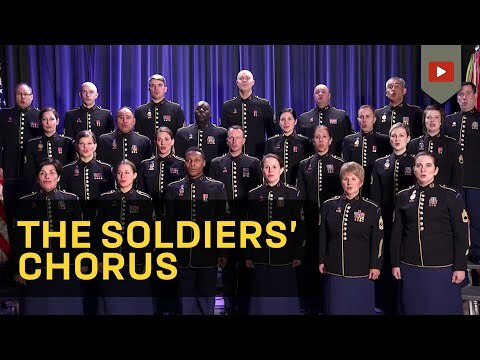 Founded in 1957, the Soldiers’ Chorus is the vocal component of The United States Army Field Band of Washington, DC. This 29-member mixed chorus travels throughout the nation and abroad, performing both independently and jointly with the Army Field Band’s Concert Band. The Soldiers’ Chorus has performed in all 50 states, Canada, Mexico, India, and throughout Europe. For booking information, contact The United States Army Field Band at (301) 677-6586.